Parents know how important it is to be involved in their children's education; it is a key factor in student success. 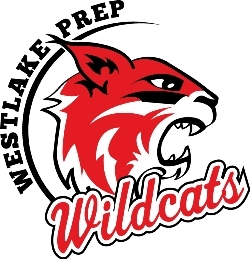 The Westlake Parent Teacher League (PTL) is a service organization established to develop events and programs with an educational, service (mission) or recreational purpose, maintaining a Christ-centered focus while providing supplemental financial support to Westlake. Westlake Wildcat Birthday Book Club - The PTL sponsored Wildcat Birthday Book Club allows parents, grandparents, friends and other relatives to celebrate a student’s birthday (or half-birthday) by donating a book in their honor to our school’s library. Each participating child is honored on the morning announcements and on a special Birthday Book Club bulletin board in the school’s foyer. This year the Wildcat Birthday Book Club is going digital. 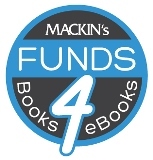 All donations and book purchases can be made through our new website! This year’s focus is on non-fiction. Please browse through the library wishlist and select a book for your child or make a donation and we will select one. Each student will be the first to check out the book that was donated in their name. If you wish to celebrate your child through our Birthday Book Club, please contact the PTL Volunteer in charge of Book Club. School Spirit Nights - Each quarter, a school spirit night will be held for the students to enjoy with their families. Spirit Nights will be announced through out the year. Scholastic Book Fair - Join us for some fun events, like Donuts with Dad and M& Ms with Mom, during this week and take advantage of the opportunity to shop for plenty of great books from Scholastic. The Scholastic Book Fair is organized by the teachers and will be held during a week in October. PTL volunteers will help with getting the book fair set up, customer check out and the various events that occur during this special week! Box Tops and Target Programs – Turn in your Box Tops for Education labels in the Box Top collection box at school. The fall deadline for turning in your Box Tops is in October. Westlake is also registered with the Target Take Charge of Education program. This program donates a portion of your Target purchases to Westlake. Thank you for your participation in these programs; they are a great way for our school to receive additional financial support to fund educational programs for the students. Christmas Decorating - Come “Deck Westlake’s Halls” with plenty of Christmas cheer! The last week in November, PTL volunteers will help decorate the school for Christmas and bring the Christmas spirit to our school and students. PTL volunteers will also help un-deck the halls the week we return from Christmas break. Lutheran Schools Week - PTL volunteers help with special events planned by the Westlake teachers in late January. Teacher Appreciation Luncheon - Parents can show their appreciation to their child’s teacher this day by helping with the annual Teacher Appreciation Luncheon. In April, all Westlake teachers and staff will be treated to a catered luncheon provided by the PTL.